Our people and their scientific expertise and passion are at the core of what we do. The Almac Diagnostic Services leadership team has worked on many key projects together for over a decade, in partnership with global pharma, biotech clients and leading academics. Professor Paul Harkin is Founder and President of Almac Diagnostic Services. In 2004 Almac Diagnostic Services was incorporated as a Division of the Almac Group and Professor Harkin was appointed as President and Managing Director with overall responsibility for the strategic, financial and operational leadership of the company. Paul is also a Professor in Molecular Oncology within the Center for Cancer Research and Cell Biology at Queen’s University Belfast where his research has focused on the role played by BRCA1 mutation in the development of hereditary breast cancer. Prior to this appointment he had been a Research Fellow in Medicine at Harvard Medical School and the Massachusetts General Hospital where he developed his interest in the emerging field of precision medicine. Michael Sloan is Global VP of Commercial Operations at Almac Diagnostic Services. He has full responsibility for the overall management of the company’s business development activities and driving the growth of the company. 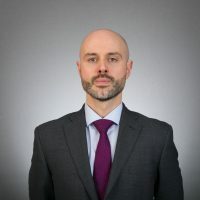 Michael has a BSC in Commerce and an MSC in Corporate Leadership and was educated in the University of Birmingham, Napier University, Scotland and the Ivey Business School, Canada. He has over 25 years in senior business development and management roles in the biotech and medical device sector. He has worked in both start up and multinational companies. 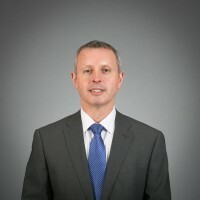 His previous experience including Managing Director for BSN Medical UK a Smith and Nephew and Beiersdorf JV and Executive Director for Amtec Medical Ltd. Professor Richard Kennedy is Global VP of Biomarker Development, Medical Director and CLIA compliant Laboratory Director at Almac Diagnostic Services. He is responsible for the application of the company’s technology into medical practice. He graduated in medicine from Queen’s University Belfast in 1995. As a post-graduate he trained as a medical oncologist and received a PhD in Molecular Biology in 2004. From 2004-2007 he worked as an instructor in oncology at Harvard Medical School, USA, where he identified novel biomarkers and drug targets for cancer treatment. 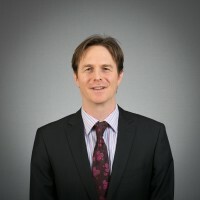 In August 2007 he joined Almac Diagnostic Services as the director of a CLIA compliant diagnostics laboratory and has been involved in the biomarker design for several international clinical trials. In 2012 he established a research group in Queen’s University Belfast focussed on various aspects of stratified medicine. 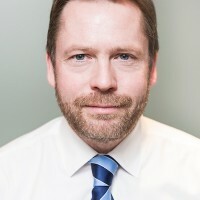 Richard Kennedy currently sits on the CR-UK new agents committee, MRC Biomarkers steering group, the National Cancer Clinical Trials Steering Group, the Enterprise Ireland Technology assessment panel and the all-Ireland Breast Cancer Predict Consortium. Previously he was a member of the CR-UK biomarker steering group and the Breast Cancer Campaign scientific advisory board. 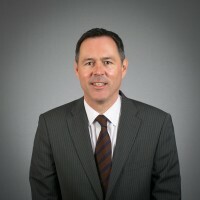 Dr. Peter Kerr joined Almac Diagnostic Services as Research and Development Manager in 2006, managing the development of internal diagnostic products. Peter now leads the project management and product development activities at Almac Diagnostic Services. The team work with the pharmaceutical industry on the discovery, development and delivery of biomarker services often as part of a companion diagnostic pipeline. Peter studied in Cambridge University before postgraduate work at Edinburgh and Glasgow universities leading to a PhD. He worked on the functions of BRCA1 and BRCA2 in the Breakthrough Breast Cancer Research Center at the Institute of Cancer Research in London before establishing and managing a microarray facility there. He then worked as a Program Manager with the NCRI Informatics Initiative in London before joining Almac Diagnostic Services in 2006. Stewart McWilliams leads the Quality Management and In vitro Diagnostic Regulatory affairs activities at Almac Diagnostic Services. The team work with the pharmaceutical industry on the Quality and Regulatory aspects of CDx Development and Commercialization. This team are also responsible for Almac Diagnostic Services’ Laboratory Quality Management systems ensuring compliance with ISO13485, CLIA (Federal and New York State CLEP), ISO17025, ISO15189 and the College of American Pathologists accreditation requirements. Stewart studied in Queens University Belfast where he attained his degree and PhD in Molecular Oncology before postgraduate work at The Welcome Trust Center in Dundee. Stewart has managed the implementation of various Quality Management Systems including ISO13485, ISO17025, GCP, CAP accreditation, New York State CLEP and CLIA. He is also Almac Diagnostic Services Designated Individual for the purposes of the UKs Human Tissue Act. Dr. Laura Knight is VP of Bioinformatics, Biostatistics & Informatics within Almac Diagnostic Services. Her remit also includes Assay Software Development for clinical trial assays and companion diagnostic (CDx) devices and Data Management. 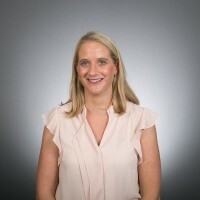 In this role, Laura leads a Department of scientists, analysts, programmers and data managers providing technology integration and benchmarking, and the discovery and development of diagnostic, prognostic and predictive clinical trial and CDx assays. 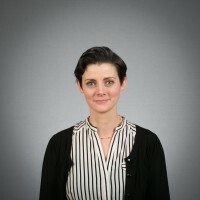 Prior to joining Almac in 2009, Laura studied at Queen’s University Belfast and received a 1st class Honors degree in Mathematics and Theoretical Physics before completing her Ph.D. in Mathematics and Statistics with applied Bioinformatics, also from Queen’s University Belfast, where she currently holds an Honorary Lectureship position. 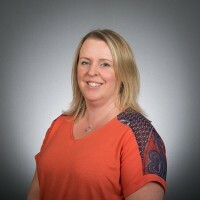 Dr. Galligan (PhD, FRCPath) has worked for over 15 years in the field of translational molecular oncology and holds the post of VP UK Operations at Almac Diagnostic Services where she has overall responsibility for all laboratory based technologies and services supporting Almac Diagnostic Services’ biomarker discovery, development and delivery. Prior to joining Almac in 2009, Dr. Galligan obtained a PhD in molecular hematology from Trinity College Dublin. She subsequently completed a postdoctoral fellowship on the molecular mechanisms of drug resistance in colorectal cancer at Queen’s University Belfast and has completed a 4 year training program in specialist haemato-oncology laboratory services. She maintains registration with the UK Health and Care Professions Council as a Clinical Scientist and has been awarded Fellowship of the Royal College of Pathologists (FRCPath) through examination in haemato-oncology and laboratory management. Dr. Katarina Wikstrom (PhD) has worked for over 14 years in the field of translational molecular oncology and holds the position of Head of US Operations at Almac Diagnostic Services. 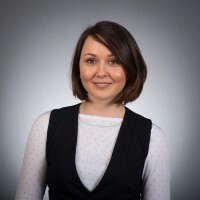 Katarina has overall responsibility for all US laboratory technologies and services supporting biomarker discovery, assay development and validation, and product delivery. Katarina obtained a PhD in experimental pathology from Lund University, and subsequently completed a postdoctoral fellowship on the molecular mechanisms of prostanoid signaling in vascular haemostasis and oncology at University College Dublin. Since joining Almac in 2009 Katarina has built up a breadth of experience in the biomarker field with particular focus on assay development and validation. Dr Steven Walker heads the internal product management activities at Almac Diagnostic Services. Specifically this includes the development of internal discovery of biomarker assays towards commercialization as a diagnostic test delivered directly from Almac CLIA and CAP accredited laboratories, or as a companion diagnostic test for in partnership with Pharma / Biopharma. Steven studied at the University of Dundee, leading to a PhD before postgraduate work at the Beatson Cancer Research UK Institute in Glasgow. 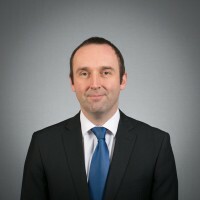 He joined Almac Diagnostic Services in 2005, initially as a Senior Scientist, then as Team Leader and then Research Manager before taking the role in Product Development. As part of his time with the research team, he was involved in the discovery and development of several of the internally discovered biomarker assays. Dr Nuala McCabe graduated from Queen’s University Belfast in 1997 with an Honors Degree in Biomedical Science. She then gained her Ph.D. training in the Department of Oncology, Queen’s University Belfast in 2001 investigating the role of the BRCA1 tumor suppressor in DNA damage response. Following this, she then worked as a post-doctoral researcher Prof. Alan Ashworth in the Breakthrough Breast Cancer Research Center (Institute of Cancer Research, London). During this time she was the involved in the identification of PARP1 inhibitors for the treatment of BRCA-associated breast and ovarian cancers, which are now approved by the EMA. Dr McCabe joined Almac Diagnostic Services as Team Leader of Internal Research and is now Biomarker Research Manager. Within this role she has gained 8 years industrial experience in drug target identification and biomarker discovery. Dr McCabe has an honorary position at Queen’s University Belfast and runs a team of both industrial and academic staff with a focus on the discovery and validation of biomarkers for clinical trials. Dr McCabe’s work has led to a number of significant invited talks, patents and publications including Nature, Cancer Research, Cancer Cell and Oncogene.